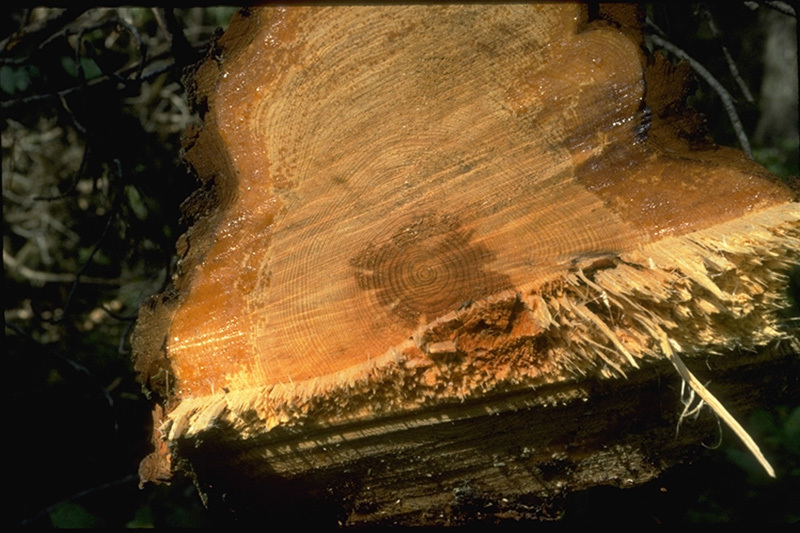 The fungus causes red ring rot in the trunk of infected trees. 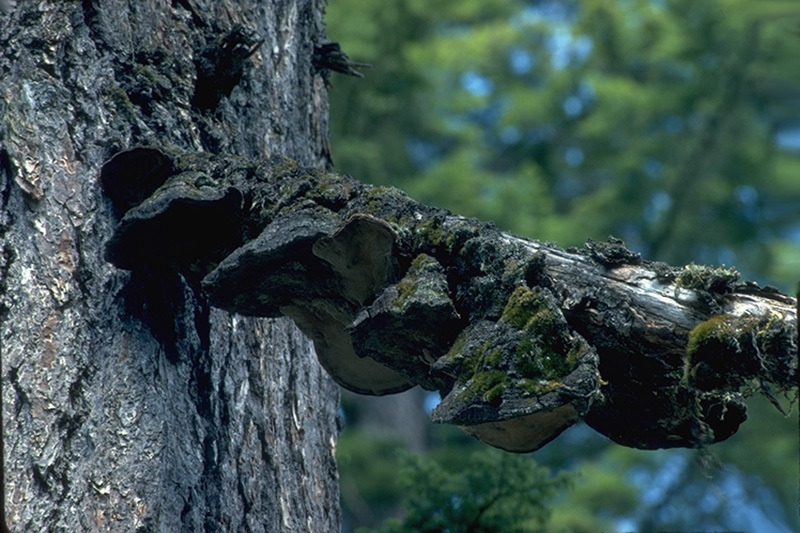 The fungal fruiting bodies are hard, woody and perennial, that is, they remain on the tree season after season. 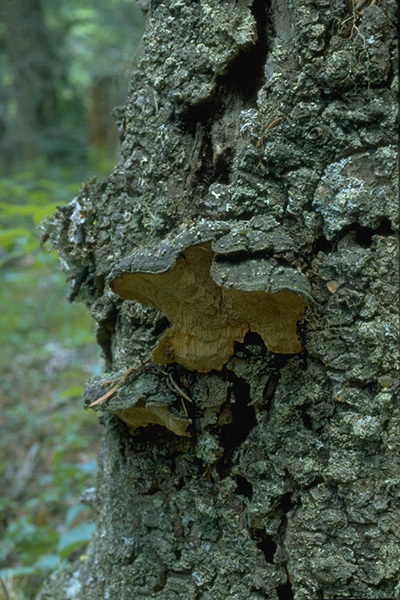 The shape of the fruiting bodies is quite variable, ranging from hoof-shaped to bracket-like. 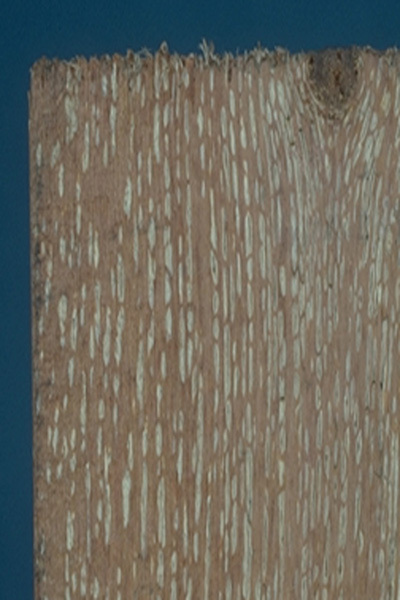 Their upper surface may be a dark grayish colour to dark brown verging on black, often with some darker concentric circles parallel to the perimeter. The fruiting bodies release spores in cool, wet weather. 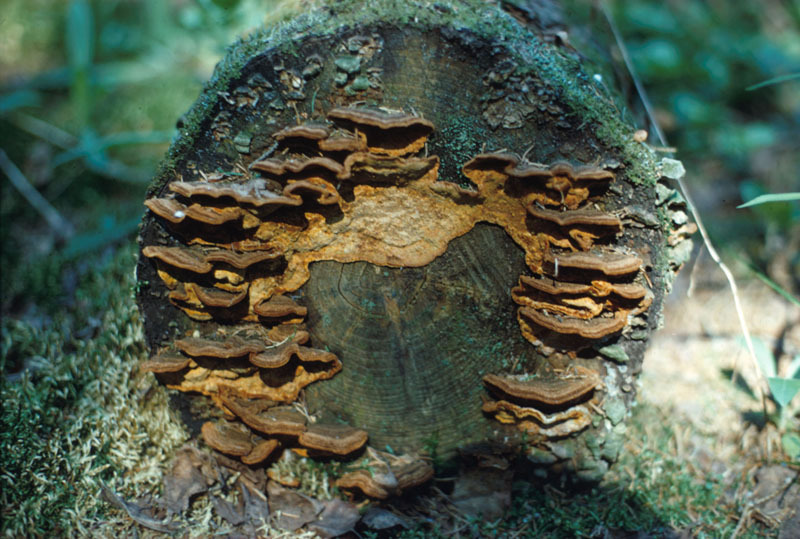 The spores re-enter the tree through a dead branch stub. 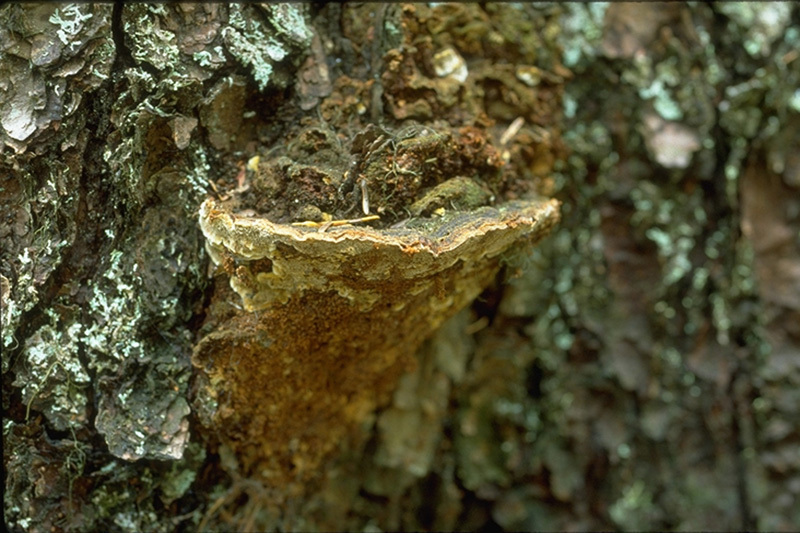 Wounds in the bark do not appear to be an important source of infection. Once the disease is well established, tiny spindle-shaped zones of white tissue appear; these are a distinctive characteristic of the disease. 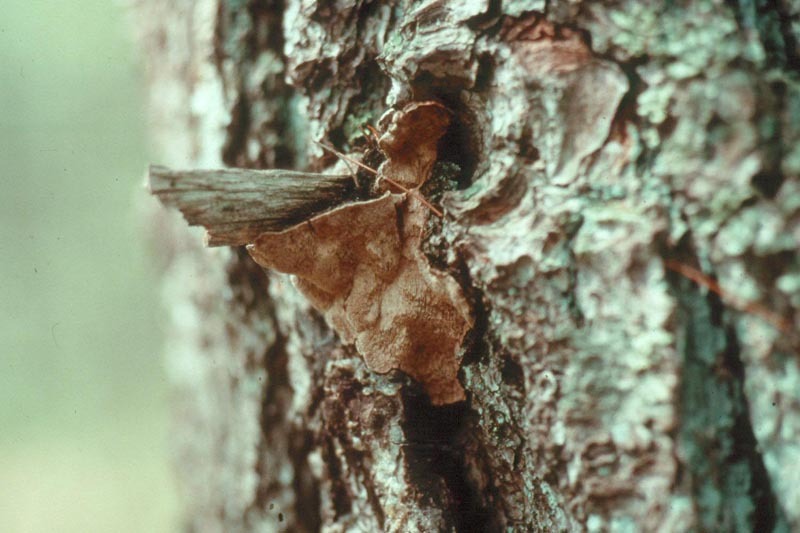 The disease only kills infected trees when the infection is very severe and generalized. 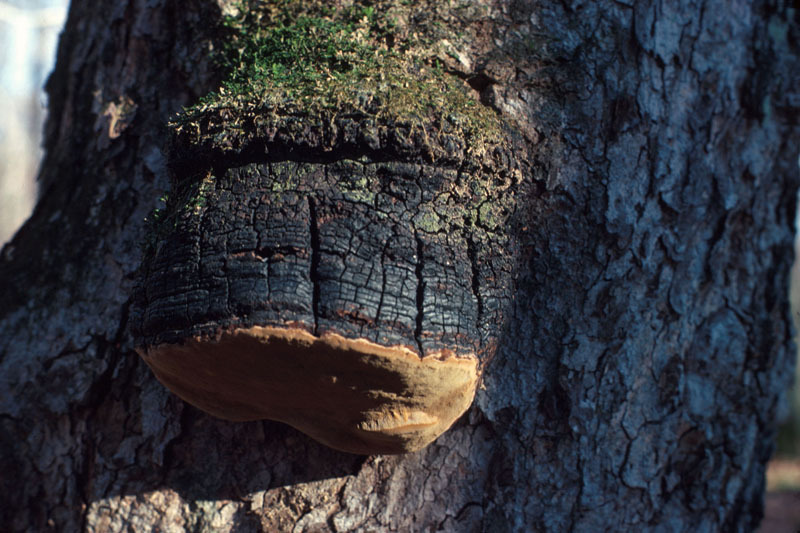 Fruiting body of Phellinus pini, the causal agent of red ring rot, on a branch stub of a living white pine. The fungus causes a white pocket rot.